Booongo invites you to retreat in a Chinese world of fantasy, come face to face with mythical creatures, and lay your hands on enormous riches with 88 Dragon slot machine. The vibrant game benefits from several Bonus features, including the Free Spins feature and as many as four different jackpot prizes that you can trigger randomly, regardless of the outcome of the spin. The highest potential win is 1,000x your bet. 88 Dragon comes with 5 reels and 243 ways to win. Before you meet the fire-breathing animals, we would advise you to set the bet ranging from $0.88 to $39.60 by clicking on 'Bet' feature or 'Coins' button. 'Autoplay' will come in handy if you don't feel like spinning the reels manually, allowing you to spin the reels without interruption for a chosen number of times. Finally, 'Spin' will set the reels in motion. The most rewarding symbols on the reels are the golden dragon, phoenix, tiger, turtle, and a golden coin. In addition, you will find the regular playing card symbols – A, J, Q, K, and 10, which make up the low-paying icons on the reels. Wilds come in the form of the Yin and Yang symbol, substituting for all other icons to form a winning, apart from gong Scatters, which are key to triggering the main feature. Land three gong Scatters anywhere on the reels one, three, and five, and trigger the Free Spins feature, awarding initially 10 free spins. The good news is, you can re-trigger the Bonus by landing extra three Scatters, which will grant additional 10 free spins. You will also like the fact that, during this feature, you will not see low-paying, playing card symbols on the reels, which will significantly improve your potential for hefty wins. Another big draw of the 2018 release is a progressive jackpot, and, there are even four of them on the menu! 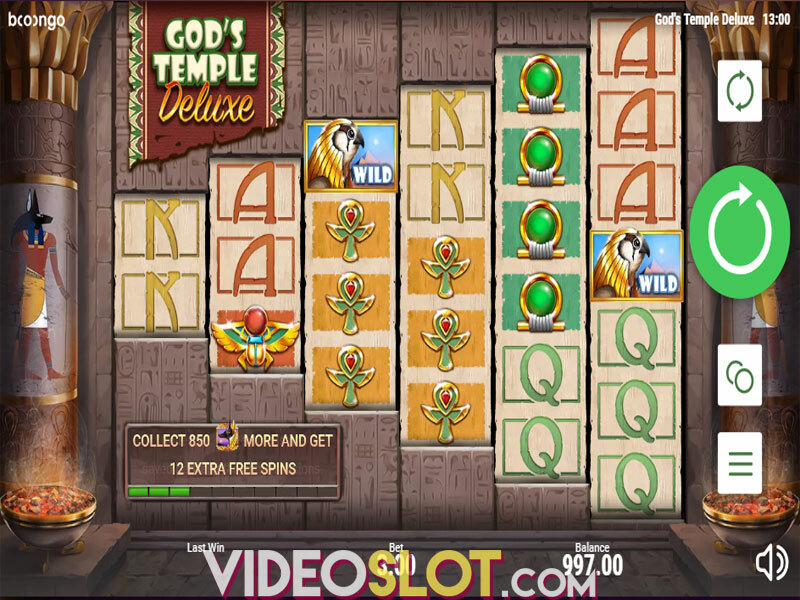 Whenever a Wild symbol pops up on the reels, the Jackpot feature will be activated. Once in, you will see 12 coins on the screen, and you will be required to reveal three symbols of a kind, in order to win one of the corresponding jackpots – Mini, Minor, Major, or Grand Jackpot. Players also have an option to upgrade all 5 symbols and try to win all 4 available jackpots. Speaking of potential payouts, be advised that Grand Jackpot is worth 1,000x your bet, whereas Major will get you 385x your bet. Minor and Mini will award 44x and 20x your bet, respectively. 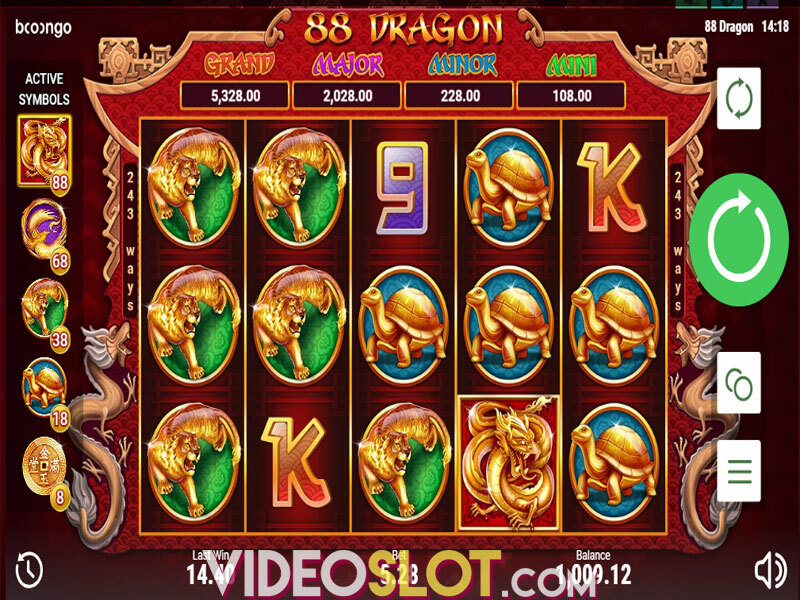 88 Dragon is a medium to high variance slot machine with an average return to player (RTP) of 95.6%. 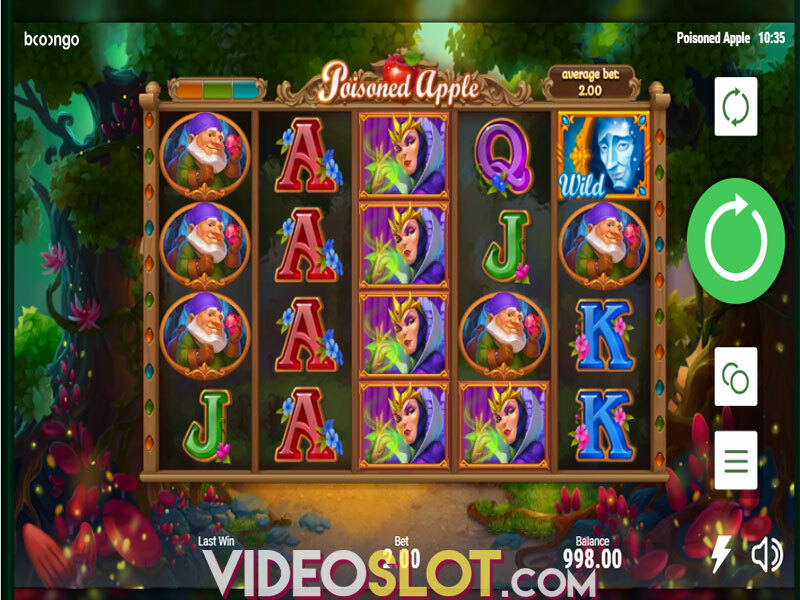 On the surface, it may seem that this is just another Chinese-themed game, however, this slot offers much more than a typical Chinese mythology-inspired title, provided you manage to trigger the special features. We must warn you that you will need some patience to activate free spins in the first place. The top prize up for grabs is 1,000x your stake. Where to Play 88 Dragon?